Book your MOT online for just £35. Recommended retail price £54.85. 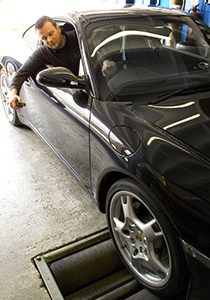 We have 5 qualified MOT testers and two state of art MOT testing bays. Fill out the form below and we will get back to you with a confirmed booking time. All retests are free (subject to conditions).